"Wishing you extremely swell holidays and all the best for 2014!!" While enjoying my recently acquired Residents' 7"s, I thought I'd spice up the Residents discography with some extra pictures and scans. I guess I added over one hundred scans of album covers and 7" picture sleeves. Most of these pictures were 'borrowed' from the fabulous discogs website and from The Residents' website. "Two freaks from the woods of West Virginia making deliberately off-kilter music." The band has a new album out (their second) : "Chuckle, Change And Also". Family Fodder was a London-based collective of musicians, led by Alig Pearce. The band combined music and humour, and released a handful of albums and singles between 1979 and 1983. Staubgold, the Berlin record label, is re-releasing two of Family Fodder's albums, both with lots of bonus material. 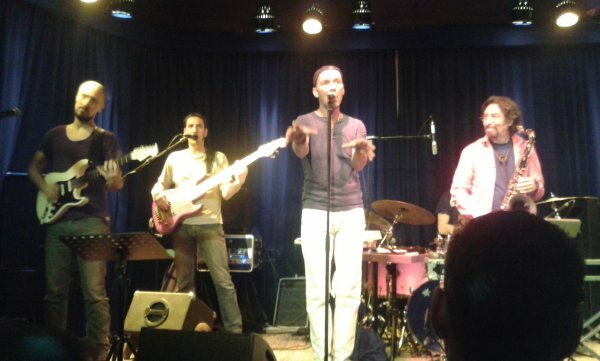 Insomnio performed Frank Zappa's "The Yellow Shark' in Eindhoven last Thursday. Yesterday, Insomnio played in Amsterdam. In case that you're wondering what you've missed, here's the setlist plus some great video footage. PhiloZappia Guitar Duo, with Rainer T. Pappon and Nelson Coelho plays a tribute version of the song Lumpy Gravy from Frank Zappa's album "Lumpy Gravy". 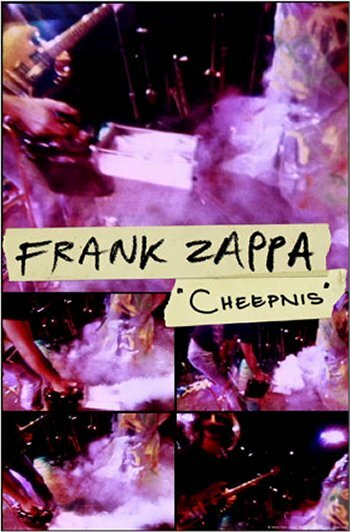 Frank Zappa's 'Peaches En Regalia'. Arranged and performed by Marco Dalpane. Jeff Simmons is recording a new album * * * The new Dale Bozzio album is to be released in February. It's produced by Billy Sherwood * * * Dweezil Zappa has announced two new albums, and a DVD for March 2014. 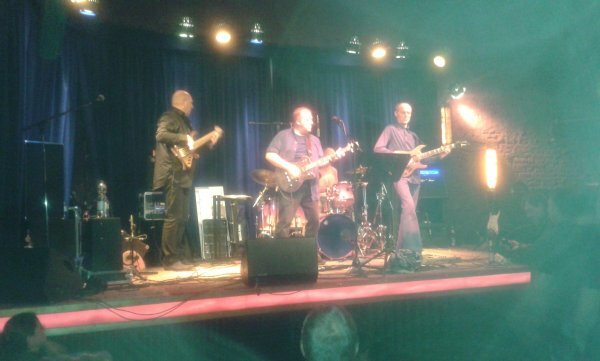 Sinister Sister, a group of professional jazz and rock musicians, will be doing some Zappa concerts in the near future. Better get your marker out ! Here are some rehearsal demos. tkalec performs Frank Zappa's 'My Guitar Wants To Kill Your Mama' on his sitar !! Savon Tranchand has a new album out,entitled "Disque Blue". 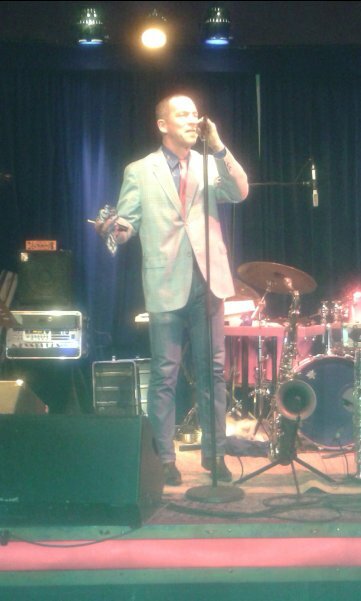 Daniel Riegler (from Studio Dan) performed live together with his brother Leo and Lukas König. 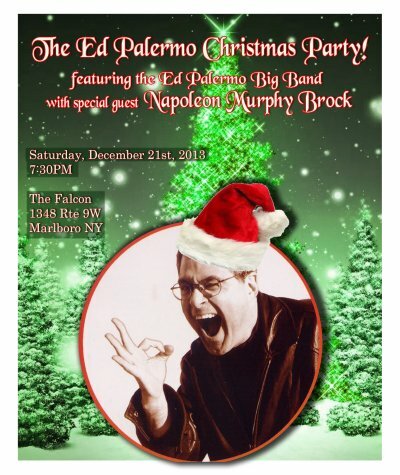 performing the music of Frank Zappa !! I already mentioned the "Cheepnis" video that the ZFT released, and I told you that it wasn't available for mainland european folks. Despite living in Belgium, being my fortunate self, I was able to see this 10-minute recording earlier today and it's a shame that it wasn't released world-wide. This is great. GREAT!! Zappa and The Mothers in the studio, with Debbie Wilson and Linda Sims (The Ikettes) on background vocals... What else does one want for Christmas?? 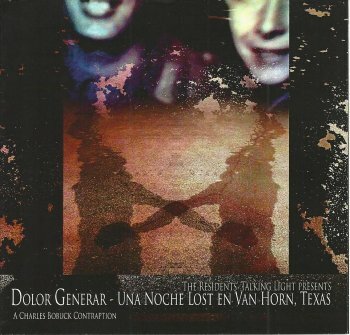 The Residents re-released "Dolor Gererar". It's still labeled RZ1105 (as in 'the fifth release of 2011') but it has a slightly altered cover. This latest version also says: "A Charles Bobuck Contraption". Originally, the album was released as RZ1102 in a limited edition of 200 copies. It sold out during the Talking Light tour. And even before that, there was an album called "Dollar General" that got released by RalphAmeric in 2010 in a limited edition of 850 copies. 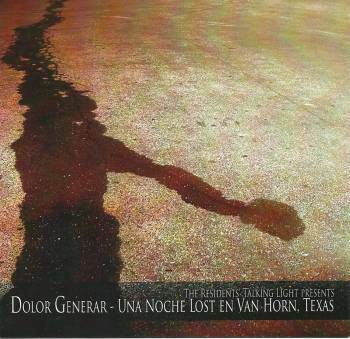 With "Dolor Generar" being an extended version of "Dollar General". There is no better time for "Cheepnis" than right now. Imagine you're a Band Leader. Imagine you're a Song Writer. Imagine you're a Musician. Imagine you're in a Band. Imagine you're a Vocalist. Imagine you're a Backup Singer. Imagine you're a Record Producer. Imagine you're a Film Maker. Imagine you're a Film Editor. THIS IS HOW IT'S DONE!!! Unfortunately for us mainland Yuripean fowks, this ten-minute video is not available for us. 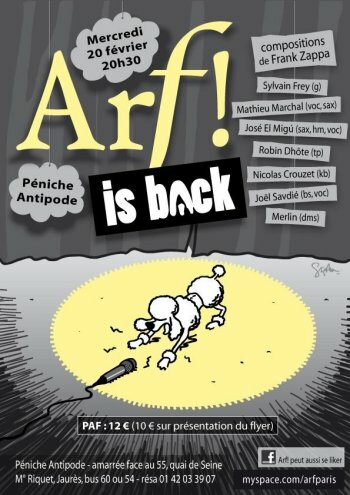 French band Arf! 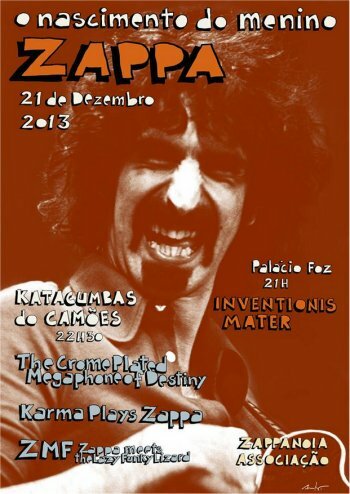 will be performing the music of Frank Zappa in Paris on 2013 12 22. During the broadcast, Frank Scheffer will be showing some exclusive material that he recorded at George Duke's place, while recording his Zappa special. The concert that will be broadcast at the end of the radio show will, of course, feature George Duke. The Zappanoia Association is organising a little festival in Lisbon, Portugal on the 21st of December. 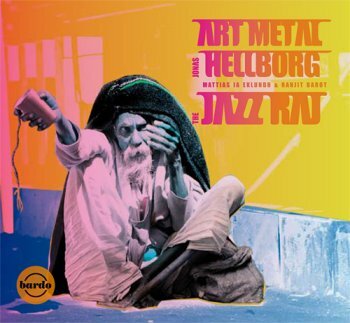 "The Jazz Rai" is the new album of Jonas Hellborg, Mattias Eklundh and Ranjit Barot. Guitar great John McLaughlin and former Zappa drummer Vinnie Colaiuta at the Crossroads Guitar Festival. 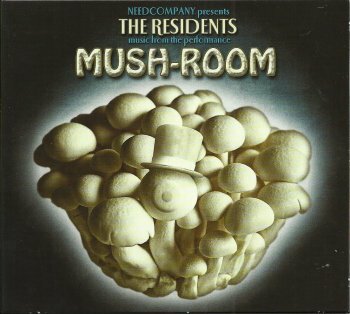 The Residents' "Mush-Room" album is also available on vinyl from MVD. Singer/songwriter Tim Buckley started his musical career in Los Angeles in the mid-sixties. It was Jimmy Carl Black who introduced Tim Buckley to Herb Cohen (manager of The Mothers) in 1966. Tim Buckley's second album, "Goodbye And Hello", initially got released in 1967. The album is getting rereleased by the 4 Men With Beards record label. Deutsche Grammophon has released a 13 CD box with the complete works of Pierre Boulez. 12 CDs with music, and 1 with an interview. I grew up with Star Trek. William Shatner was one of my childhood heroes. Fast forward to 2013 where William Shatner released his 4th (!!) solo album. A co-production with Billy Sherwood. One of his previous discs featured Adrian Belew as a guest. On "Ponder The Mystery", there's even more Zappa and Beefheart alumni to be found. 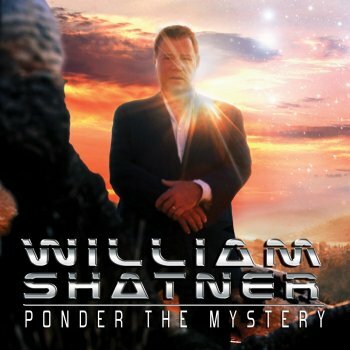 Steve Vai, George Duke and Zoot Horn Rollo all contributed to "Ponder The Mystery". The sixth edition of the Numoonfest is all about Sun Ra ! Today & tomorrow in Rotterdam, NL. MIKE SEES THE "SLUGGO! DELUXE" PACKAGE FOR THE FIRST TIME! Just after soundcheck for their San Diego show on December 7, 2013, Mike Keneally, Joe Travers and Bryan Beller unbox the just-arrived "Sluggo! Deluxe," featuring three discs of new stereo and surround mixes, plus live concert video and tons more! A hand-signed and numbered limited edition of 1000 is selling briskly. All available now at http://store.keneally.com. "Conundrum", the documentary that takes a closer look at Morgan Agren's musical world arrived at the United Mutations headquarters earlier this week. Actually, thanks to my participation in the kickstarter project, I even received a signed copy. Nice. 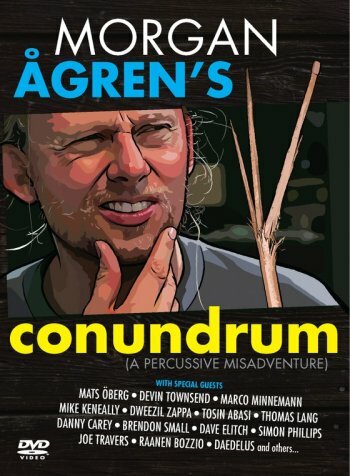 The movie itself, subtitled A Percussive Misadventure, shows Morgan Agren in his favorite environment : drumming. A lot of contemporary musicians (Mike Keneally, Joe Travers and Dweezil Zappa to name a few) have nice things to say about Morgan Agren. There's even some footage from the Mats / Morgan appearance at one of the 1988 Zappa concerts. I like it. It's funny and informative at the same time. From the nice stack of 7"s that I received last month. 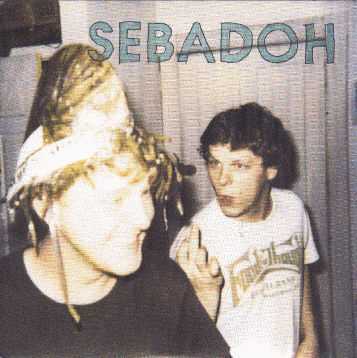 The band released this 7"EP in 1996 on the Sub Pop label. It includes three compositions by The Residents !! 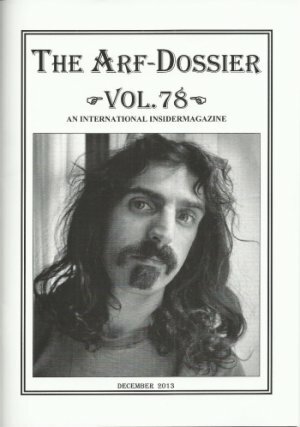 Volume 78 of the Arf Dossier arrived last week. There's some fine concert reviews of the Grandmothers tour and of the Zappa Union festival, as well as an impressive list of recent zappaesque releases : The Archestra, Jack Dupon, Moster, Humble Grumble, Grand General, Fire! Orchestra and Phlox. February 2014, Belgian band Manngold will be presenting their first album. Gerardo Tripoli's Fusa Musa ensemble will be doing a Frank Zappa tribute concert on December 26, 2013, in Buenos Aires. Gerardo Tripoli, Guitarra, dirección y arreglos. Fazil Say's 'Istanbul Symphony' by the hr-Sinfonieorchester. Frank Zappa, Astor Piazzolla, Henry Mancini, Led Zeppelin e la nostra musica...! Jueves 12 de Diciembre 21 hs. Entradas anticipadas: en el teatro o si conoces a alguno de los músicos. Apurate antes que se extingan..! Si ya tenes una..! allora sei della famiglia..! 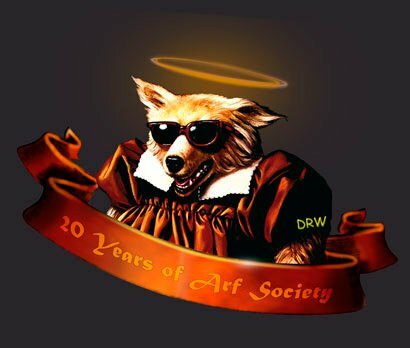 The Arf Society celebrated its 20th anniversary with a little festival. It took place in Berlin. Thanks to Andreas Hosse, here are some pictures. Over at the United Mutations Archives, I have been adding various related albums to the Sun Ra entry. All the way below, over at http://www.united-mutations.com/r/sun_ra.htm. Straight from the Residents' archives, here's a bunch of recordings from the era before some of these musicians got known as The Residents. "The Residents Present The Delta Nudes - Greatest Hiss"
With an interesting track 12 : the accelerated Snakefinger version of FZ's 'King Kong'. 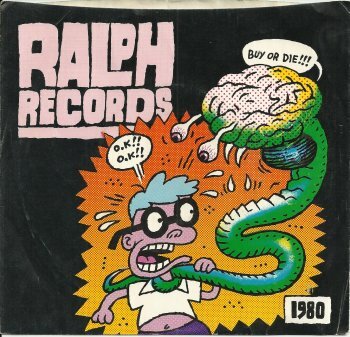 In the 1980s, the Ralph Records label issued a number of 7" samplers to promote their artists. 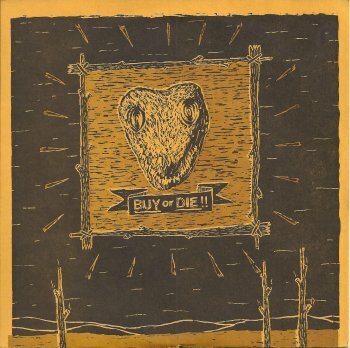 These EP's carried the same slogan as the Ralph Records catalogues: "Buy Or Die". A couple of weeks ago, I received a stack of 7" singles. Out of the blue. As a gift. 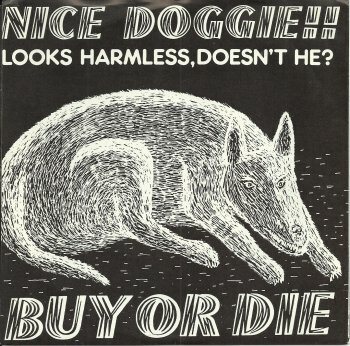 Great stuff: Residents, Snakefinger, Chadbourne, ... and three fine "Buy Or Die" samplers !! Here are the pictures of the "Buy Or Die" samplers.